Did Shakespeare write Shakespeare? The authorship question has been much treated in works of fiction, film and television, provoking interest all over the world. 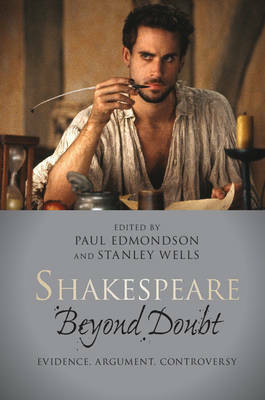 Sceptics have proposed many candidates as the author of Shakespeare's works, including Francis Bacon, Christopher Marlowe and Edward De Vere, the seventeenth Earl of Oxford. But why and how did the authorship question arise and what does surviving evidence offer in answer to it? This authoritative, accessible and frequently entertaining book sets the debate in its historical context and provides an account of its main protagonists and their theories. Presenting the authorship of Shakespeare's works in relation to historiography, psychology and literary theory, twenty-three distinguished scholars reposition and develop the discussion. The book explores the issues in the light of biographical, textual and bibliographical evidence to bring fresh perspectives to an intriguing cultural phenomenon.